10:00am Greeting, Re-introduction of Judges. 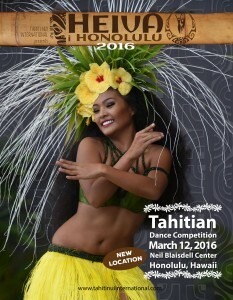 Honolulu, Hawaii – January 23, 2014 – HEIVA I HONOLULU, produced by Tahiti Nui International, is Hawaii’s biggest and best Tahitian dance competition. 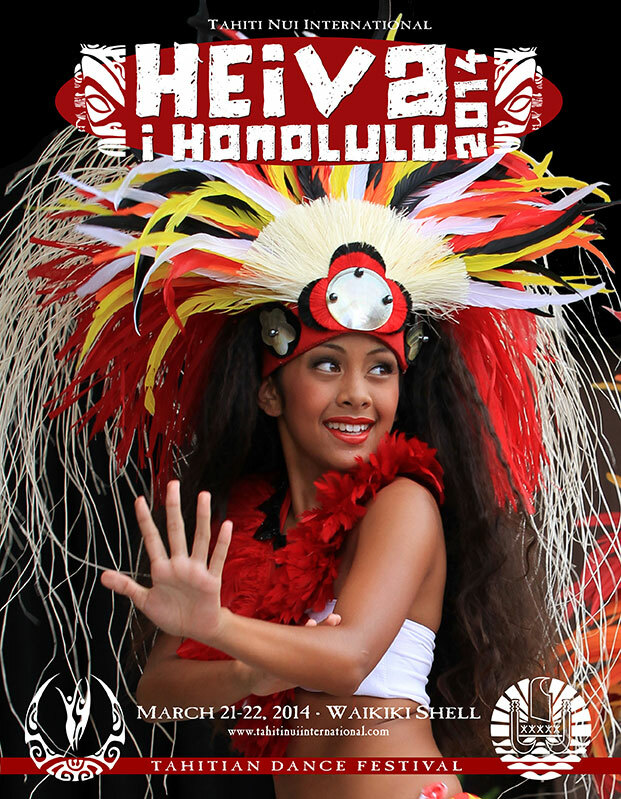 On Friday and Saturday, March 21-22, 2014 the Waikiki Shell stage will be full of hundreds of soloists and premier Tahitian performance groups representing Hawaii, North America and Asia. A full two days of activities for visitors and locals, this Heiva is a gathering of the best in Tahitian culture. What is a heiva you ask? In Tahitian, the word Heiva (hei meaning to assemble, and va meaning community places) refers to activities, pastimes, physical exercise, and festivals. Music, dancing, singing and sporting events have always held an important place in the Polynesian community. 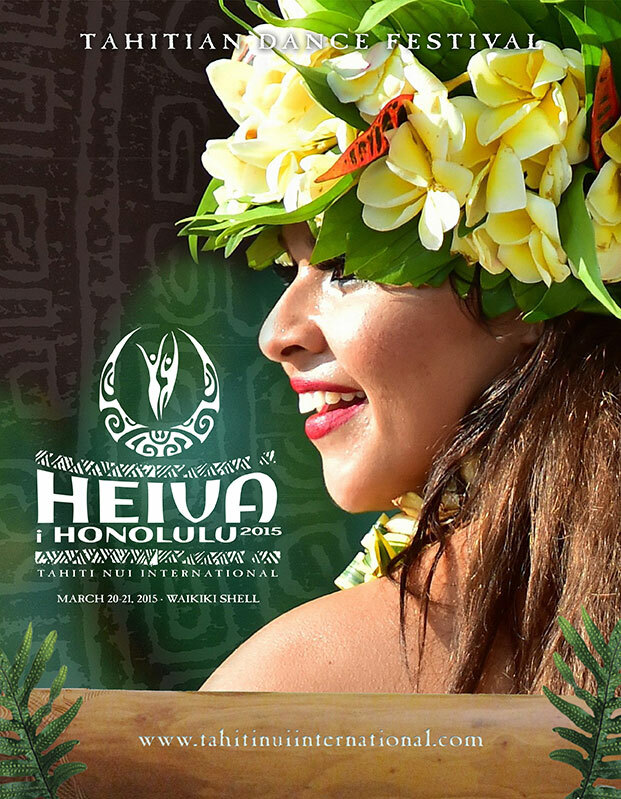 Heiva i Honolulu, now in its 12th year, is modeled after Heiva i Tahiti, which occurs annually during the month of July and is the largest cultural event in Tahiti and French Polynesia. From the fast hip shaking Otea movements to the powerful beating drums to the seductive rhythms of song and legends, this competition is sure to entertain. This year we also feature Polynesian fashion shows and an exhibition by local Polynesian groups performing traditional dances. An array of Polynesian arts and crafts unique solely to this event, complete the festivities. Months of rehearsal culminate for all participating groups with dramatic energized performances of the Otea, Ahupurotu, Drumming, and Aparima. Soloists alike prepare for a complete day of competition amongst those similar in age for the coveted award of top dancer in their age group as well as advancing to the solo champion award, the Overall Tane and Overall Vahine titles. Tickets will go on sale February 1st at the Blaisdell Ticket Box Office, or each day two hours prior to the event start time at the Waikiki Shell Box Office. General Admission: Adult (11yrs+) $15 Child $10 (4-10yrs). Ticket prices noted are per day. The celebration is open to visitors and locals alike. TAHITI NUI INTERNATIONAL is a cultural organization founded for the purposes of preserving, promoting and sharing the cultures, arts and crafts of the five groups of islands that make up French Polynesia, commonly known as Tahiti. For more information contact: Mana Mo’o (manamoo@mac.com), Tahiti Nui International, 3246 Hinano Street, Honolulu, HI 96816 (808)732-7342 www.tahitinuiinternational.com.